Taking care of your filters and ignition system are part of basic vehicle maintenance. Every vehicle needs maintenance and regular filter replacements. 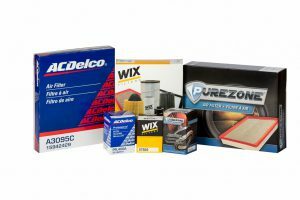 At Guelph Auto Parts, we carry a range of engine and cabin air filters, fuel filters, oil filters, spark plugs, ignition wires and ignition coils for all cars from suppliers such as AC Delco, NGK and Standard Motor Products. No matter what your maintenance needs are, Guelph Auto Parts is sure to have the parts you need to get you back on the road or keep you rolling!